When I first got pregnant, I was so excited and happy. That stayed with me throughout the pregnancy, but I also had to deal with some serious discomfort. A friend recommended that I get a pregnancy pillow, and I eventually settled on the Leachco Snoogle pillow. This is my experience with it. 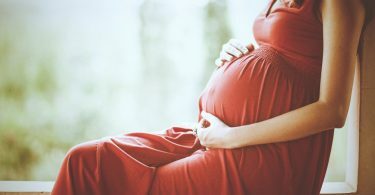 When you are pregnant, you start to experience all sorts of aches and pains that you have no control over. The weight of your baby, your muscles stretching, the kicking, the pull on your back and your joints – none of these things are comfortable and they can lead to restless nights. You have to look after yourself properly and get a good night’s rest, however, which is why a pregnancy pillow is such a good idea. When you have proper support from your pillow, you will feel refreshed when you wake up, as well as pain free. When I purchased the Leachco Snoogle pillow, I was 16 weeks pregnant. I kept it throughout my pregnancy and beyond. It is a unique pillow because it supports your belly, your hips, your back, and your neck, at the same time. It is shaped like a horseshoe, which makes it really flexible and ensures that you can support your body where it is needed. The pillow is made of 65% polyester and 35% cotton. The pillow lining is cotton. I chose the Original Leachco Snoogle Pillow, but you can also pick the Chic Organic, the Chic Jersey, the Chic, and the Basic. Each of these pillows has the same shape, but the filling varies from 100% organic cotton to cotton blends. You can also purchase different covers for your pillows. Again, they come in different materials, including velvet, jersey knit, and 100% cotton. Which one is right for you will depend mainly on your budget. Some have a sham-style overlay, whereas others have zip closures. What really sets the pillow apart, however, is its horseshoe shape. It curves at the top and bottom, which means you can use it in lots of different ways. This is important, because your body and your needs change as you go through your pregnancy. When you receive your pillow, you will instantly find it to be very supportive. Depending on where your baby is laying, you can change the way you use the pillow. I supported my neck with the top curve, pulling the bottom curve between my thighs. This kept my hips properly aligned. As I went throughout my pregnancy, I used the front of the pillow to support my baby bump. One of the things I struggled with was staying cool, but because this pillow is a cotton and fiber blend, air flows through it nicely. This meant I was comfortable all night long. I didn’t like the sham-style cover so much, however. This is because the flap is on one of the pillow’s curved ends, and it’s hard to remove it or put it back. Also, the pillow is so long and so uniquely shaped, that it is really difficult to adjust your cover. I would recommend, therefore, that you pay a bit more and get the zippered cover. Once I had my baby, I continued to use the pillow. In the first 14 days after giving birth, it helped my gauzes and wraps to stay in place. Also, it ensured that my stitches and other sensitive areas were properly protected. I also found that the pillow was really helpful with nursing during the night, giving me and my baby proper support. Of course, by this time, I had used the pillow for six months straight, so it did start to flatten somewhat on the curves and the middle was just slightly floppy. That said, I was huge during pregnancy, so it doesn’t surprise me. If you look after your pillow properly, however, and particularly if you invest in one of the more expensive models, it should easily support you through multiple pregnancies, should you choose to have more children. One thing I didn’t like about the pillow is that it can’t be machine washed. Rather, you need to spot clean it and fluff the pillow up regularly. 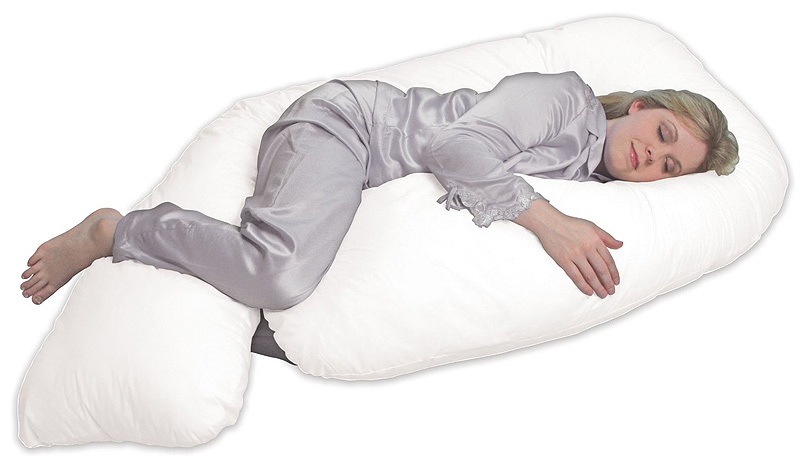 Overall, the Leachco Snoogle pillow is a great pillow to have when you are pregnant. As your body changes and grows, the Snoogle will change with you. It is a fantastic tool to help you get that much-needed rest, letting you wake up refreshed every morning ready to face the day, rather than having aches and pains everywhere. Yes, it is hard to clean and the sham-style cover could be improved on, but those are minor complaints only. The fact that you can use this pillow throughout your pregnancy and beyond means that I 100% recommend it.